Equity market experts expect bullish momentum to continue towards new life high till the time Nifty sustains above 11,400 marks. On account of Federal Reserve meeting ahead and neutral global cues, the Indian indices remained cautious throughout the intraday trade on Wednesday. The BSE Sensex nudged 23 points higher while the 50-stock Nifty index slide 19 points to 11,521 levels. The Nifty Bank index continued its rally by adding 64 points before closing at 29,832 levels. Realty, IT and Tech index led the bull's run as Indiabulls Real Estate, Infosys, Rolta India, LTI stocks gain. 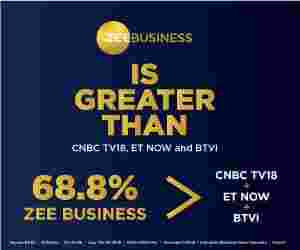 Speaking on the current market trend Mehul Kothari, Senior TEchnical Equity Analyst at IndiaNivesh Securities told Zee Business online, "Due to ongoing momentum, Nifty spot has clear the mark of 11,500 on the closing basis. It addition, during the process the index has also clear the hurdle of 161.8% Fibonacci retracement level of the previous move as shown in the chart. Thus, we expect bullish momentum to continue towards new life high till the time Nifty sustains above 11,400 marks. While doing the same, 11,600 to 11,680 might act as an intermediate resistance for the bulls," adding, "We maintain our positive stance for the markets but at the same time advice traders to start booking their leveraged positions. On the downside 11400 might act as an intermediate support for the coming sessions. A move below the same might dwell the ongoing momentum for the time being." Asian markets too witnessed tepid trade on Wednesday. Japanese Nikkei nudged 0.2 per cent higher, South Korea's Kospi slipped 0.02 per cent, Hang Seng went down near 0.49 per cent, Shanghai indes went down by whisker 0.01 per cent while FTSE 100 wend down near 0.02 per cent.